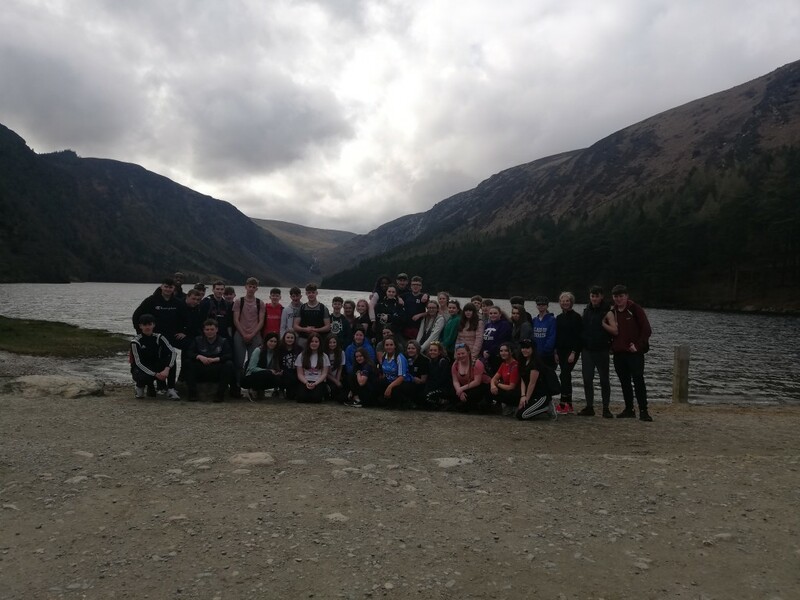 On Wednesday 20th March, we traveled to Glendalough as part of our TY Gaisce programme to complete a 26km hike along with our teachers, Ms. Comerford, Ms. Stynes, Mr. O’Brien and Mr. Fennessey. 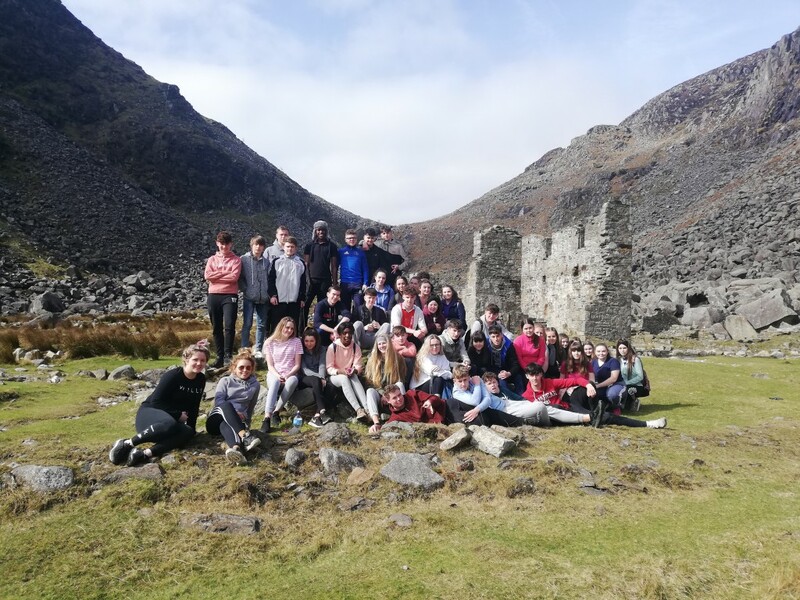 After our bus journey we arrived at the hostel, An Oige, in Glendalough where we were staying for the night. Excitement and nerves were running through all of us. We dropped our bags off at the hostel and put on sun cream and shades as the sun was shining and the weather was much warmer than we had anticipated. We then began the first part of our two day hike. We walked past the round tower and through the graveyard towards the steepest slopes at the beginning of the red trail. The hike was very tough walking uphill and our legs were burning by the time we arrived at the top but our teacher’s encouragement and scenic views kept us going. We completed 17km on the first day. Once we arrived back at the hostel, we cooked our own dinner as a group and washed up after ourselves. We then bonded with each other and watched a movie before going to bed. The next morning we woke up at 8am and prepared our own breakfast. We tidied our rooms and stripped our beds before heading off again to complete the rest of our hike. We walked over 10km the second day towards the Miners village and back. We took group photos and enjoyed the lovely weather. On our way home we stopped in Newbridge for lunch and then back to school. The trip was extremely enjoyable for all and the teachers were very supportive. We made new friends and overall it was one of the highlights of TY.